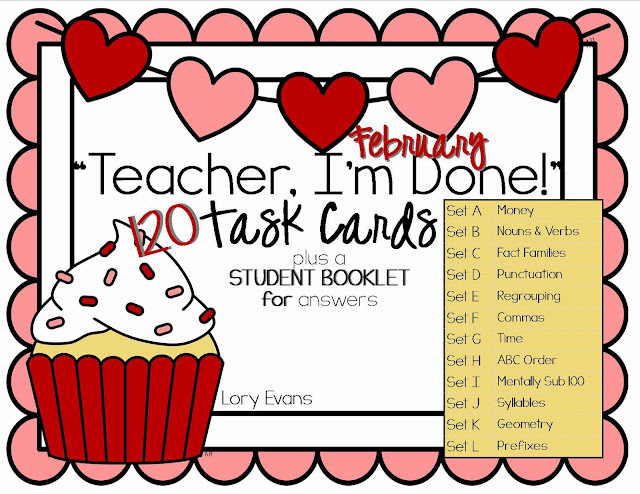 I posted February Task Cards this weekend. 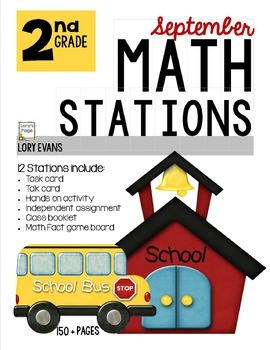 I have really enjoyed this easy (to prepare ;), extra activity in my classroom. Right now I only have 8 students working on them. They are actually thought of as a reward. These 8 kids are just FANTASTIC! They are on or above grade level, super readers, responsible, respectful... the whole kit and ka-bootle! When I introduced the idea to them, I explained that not everyone would be receiving a task card booklet. I explained that they didn't need to talk them up or make others feel bad, however, I wanted them to know that I appreciated their hard work and wanted to reward them with an extra challenge. Before our chat was over (in the hallway with just the 8)... a cute little boy said, "Mrs. Evans, I know it's kind of a secret, but do you think I can tell my mom and dad? I think they'd be real proud of me!" AahHH! So sweet!!! They turn their booklets in before the end of the month... I write a quick note to them along with "extra credit points". It hasn't been work for me but a booster for their self esteem. What have you found for those fast finishers? I'd love to hear. Leave your idea (and email) and I'll draw a winner for the February set on Thursday! I was asked how I manage the cards.... pretty simple. I have a small spot on my wall in the corner, under the TV. I just used push pins and silver rings. Read read read!!! But I love the idea of a little something extra! I usually have them read. I might give them an extra reading response sheet or something but I wish I had more for them to do! This looks great! Honestly your Word Work monthly grammar activities are my life saver!! I also have them read or if it is just a 1 or 2 let them have extra computer/ipad time. I am in a different class situation than you but I love these task cards. 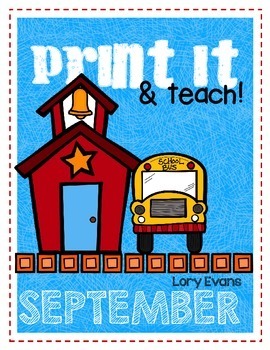 I have kids with behavioral/emotional challenges that are starting to enter the general education environment again. 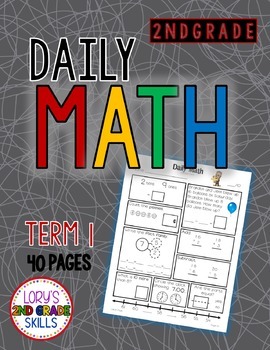 When a student finishes their work, they get to access additional time on the IPAD or computer to play IXL (licenses paid for by district) for additional math or reading practice. But, I love your task cards and would love to use them more! Thank you! 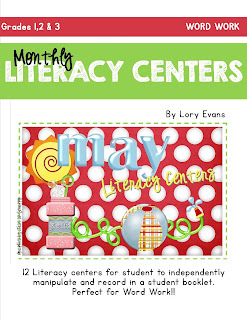 I usually have a monthly packet that everyone gets (but only my quick ones really finish) as well as additional math or ela folder centers they can do (folder games, response worksheets, marcy cook tiles, etc.) 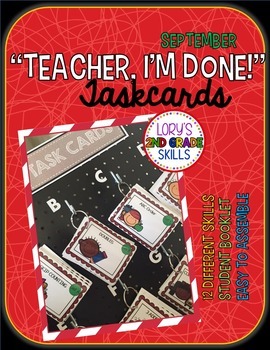 Your task cards would be perfect to add to our collection! I let them select a page from Draw Write Now to work on their drawing and handwriting! BUt I would love to have something a wee bit more focused for individuals! Before last month I would have them read or do a writing project. But last month I bought your January cards and I love them!! I would love to have these too! 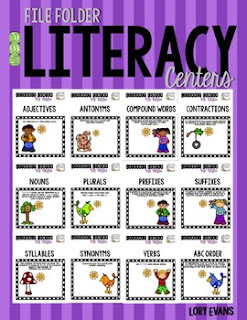 Math flashcards, practice sight words, work on handwriting, and read. Last month, I bought january and winter sets. 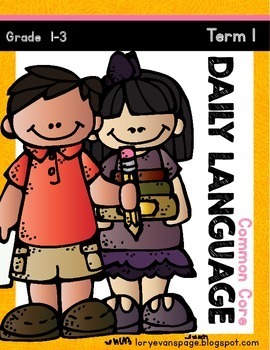 Kids love them!!! I use task cards also. 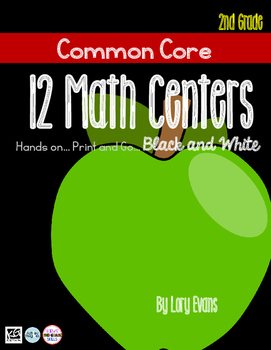 I learned about extension menus last summer and have used a few of those, as well.